Matricultura describes a life-giving path towards a life-centred livelihood: On the base of analysis and schematic illustrations Matricultura describes the way towards vividness, points out traps and possible dead ends, guides the view to essential core values and shows how the conscious step out of destruction and towards a steadily more and more life-affirming world can be practiced. Matricultura plans and realises international commitments for Integral Environmental Healing: Matricultura plans and realises holistic Earth Healing initiatives and rituals, integrating the force of symbols, the wisdom of sky dancers and the knowledge of meteorological science that support the life-giving activation and healing of Mother Earth as origin and carrier of all life. For this work, Matricultura uses the term Integral Environmental Healing. 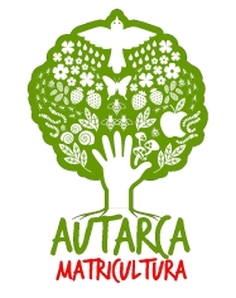 Matricultura accompanies initiatives, that put life in their centre: Matricultura accompanies and supports projects, Life-Biotopes, communities, initiatives and institutions that dare to get on the path towards life-centred livelihood. Aimed is a gentle, peaceful, integral, consensus-orientated and Mother Earth respecting counter development that puts vividness in the focus of all work forms and activities. Matricultura advises on how to build Life-Biotopes: The patriarchal economic, finance and society systems are neither to be reformed nor to be controlled. Therefore step-in-pioneers should urgently start the construction of the most vivid and self-responsible Life-Biotopes. Within a Life-Biotope the ways towards vividness can be specifically tested and explored. The building of a Life-Biotope can be started at the most different places and under most different circumstances. E.g. in a city apartment of one single person, in a multiple family dwelling, in a community, on a farm, in a school, in a village, a city, on a market place... Life-Biotopes are the basic "objects of research" of Matricultura. Matricultura can advise and assist with the building of a Life-Biotope, can encourage the connection of the most different Life-Biotopes and can support the biodiversity among them. Matricultura analyses Life-Biotopes, society, economic and cultural systems with respect to their holism and therefore their vividness. Matricultura's analytical model works with visual language: Schemes, that illustrate the systems to be analyzed in their complexity and at the same time show them clearly displayed. On the basis of these schemes insufficiently developed potentials, powerfully integrated and also overloaded areas of life can be examined. The insights of the analysis will be fathomed out at the realization. Matricultura integrates research, knowledge areas and fields of application, that aim the life-giving activation and healing of Mother Earth as origin and carrier of all life. In Matricultura, the term Mother Earth includes implicitly the qualities - earth, water, air, fire and energy of life in all its forms that were created from them and are continuously created anew. Matricultura attaches particular importance to the practical implementation of the gained insights. The most exact possible feedback to analysis and integration is always anew looked for and applied in real life.